I recently moved to Willamette Valley, Oregon, from Napa Valley and am experiencing first hand this exciting wine region. The people of Oregon are genuinely simpatico. They have incredible work ethic, fierce individuality, yet an unaffectedly collaborative spirit and drive to excel. In fact, Oregon Pinot Noir is highly recognized and garnishing more than its share of Wine Spectator reviews: greater than 40% of ratings above 90 points; while producing less than 1% of total United States Pinot Noir volume. About 28 percent of Oregon wine producers said they were in poor financial health, compared to 16 percent for the industry overall (surveyed by Silicon Valley Bank, a wine industry lender), by Mateusz Perkowski, Capital Press. A quarter of winemakers say the financial health of their operations is poor, and many are considering exiting the business. More than 40 percent of Oregon winery owners say they may sell in the next five years. By Pete Danko, Portland Business Journal. While I agree with Rob McMillan’s research (sic. Silicon Valley Bank) that a number of Oregon’s wine businesses are depressed from a margin standpoint, I would characterize the industry phase up here as reminiscent of Sonoma Valley 15+ years ago: when founders were facing tension between their intrinsic core values and the economic demands of their businesses; and fatigue from decades of hard work yielding lukewarm financial outcomes. 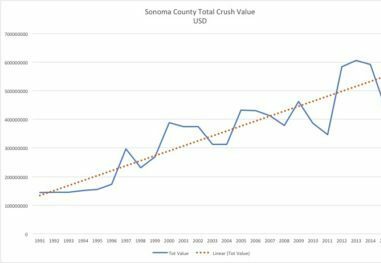 In my opinion, Oregon’s wine industry is managing through an important industry growth phase and presently facing challenges similar to those tackled by Sonoma wineries 15 years ago (see Sonoma Facts, below). Dare I suggest that Oregon wineries have an opportunity to accelerate their learning curve by taking a page from Sonoma? In early 2,000, the opportunity for Sonoma County was to stand for something meaningful, differentiated from Napa Valley and other world-class wine regions. 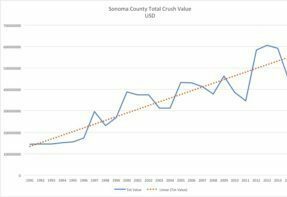 And, the opportunity for Sonoma wineries was to build more sustainably profitable businesses. Many have successfully accomplished this by driving 30-50% of their revenues through consumer direct sales channels and hiring professional management teams. Today, a good number of Sonoma County brands are Built to Last; and most people would agree that Sonoma has secured its future. Diverse: Sonoma County is 52 miles wide and 47 miles long; has 17 unique regions, with 60,000 acres planted to more than 60 grape varieties. Each growing region and every vineyard is distinctive, with climate, soils and site creating unique characteristics. Only 6% of Sonoma County’s acreage is planted to vineyards (36% to pasture and 49% to forests). Chardonnay is the most abundant varietal in Sonoma County, with over 15,000 vineyard acres planted, with Pinot Noir at over 12,500 acres. Due to active geological activity in Sonoma County, you’ll find a greater diversity of soils than are found in all of France. Privately held: With 751 total bonded wineries today (tenfold growth in 15 years), more than 85% of vineyards are family-owned and operated. Small holdings: 40% of Sonoma County’s vineyards are less than 40 acres. Conjunctive labeling required: Wines produced from a Sonoma County region must include “Sonoma County” on the label. Economic contribution: $13.4 billion to local economy. Figure 1 shows economic contributions potentially doubled since 2,000. (Note: 2014 Economic activity in Oregon was over $3.35 billion). I – It is time for more Oregon wineries to build relevance and “an operational flywheel”: I have spent a good part of the last few years trying to sort out why some people and companies and movements succeed, while others fizzle out or implode. It’s something I think about a great deal, not merely in my day job as an Executive Advisor to over 150 winery leaders, but also in considering politics, history and economics. Why do some nations fail? What’s happening to our country now? I have found that success today in any endeavor is marked by a kind of intuition about relevance. Big wins have come from relevance—not inspiration or genius or drive. The biggest wins however, have come from leadership’s capacity to deliver relevance consistently, over time. These businesses tend to be more sustainable or ‘built to last’. While Amazon became relevant through offering ‘convenient shopping experiences’, they locked in their competitive advantage by ‘building an operational flywheel’. They invested in their capacity to deliver consistently convenient customer experiences – securing customer loyalty and market share. This is about a well-known Sonoma Pinot Noir brand that 15 years ago took a leap of faith and hired my firm to professionalize their business, develop realistic growth plans and implement fundamental business practices. At the time, the partners were tentatively trying out a new business model, tied to an immature region (Sonoma), with an immature varietal (Pinot Noir was a much smaller category) and unknown vineyards. Purchased grapes from Sonoma and Napa vineyards (with limited name recognition at the time). 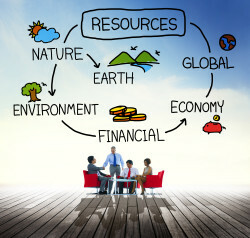 Limited systems or cohesive leadership: owners and team did not even share office space. Purchased grapes from renowned Sonoma and Napa vineyards. Cohesive leadership team and Board of Directors: well oiled governance and performance management process and systems. II – Willamette Valley Pinot Noir is THE gold standard and designation that makes wine easier to sell, according recent market research with trade and distributors (Contrary to common thinking that the Willamette Valley brand has become too generic). Oregon wine growing associations might consider implementing a conjunctive labeling policy as Sonoma has done: ALL wine produced from a Sonoma County AVA must also include “Sonoma County” on the label, as market research has proven to Sonoma that this increases recognition for every AVA within Sonoma County, both well-known and less familiar. Oregon wineries have an opportunity to lean more on other brand equities to sell wine at higher prices: such as, estate grown, meaningful vineyard designations, specific wine styles and ratings. Winery leaders have an opportunity to drive a more profitable product strategy by realigning every product in their portfolio at a contribution margin-level. This means learning how to manage Cost of Goods Sold more proactively; as well as using pricing as a strategic, rather than tactical tool. They should consider applying these ‘rules of thumb’ in the table below. Myth or reality? Wineries here generally face higher than average cost of goods sold than California, because a majority in this region are small businesses with limited economies of scale and high farming costs, due to typically lower yielding vineyards. Reality: California is comprised of vast and diverse wine regions, with over 2,500 small wineries that have limited economies of scale and high farming costs, many not unlike Oregon. Despite this, over 300 Californian wineries have emerged as industry leaders, beating the odds and building highly profitable businesses. Oregon has the capacity to do the same. Myth or reality? Even with the very professional OWB and OWA industry-level marketing efforts, Oregon’s smaller wineries are restricted by how much they can afford in hiring professional sales and marketing leadership: (1) constrained muscle in the national market drives high average selling costs as percent of revenues; (2) inadequate marketing funds weaken impact of consumer acquisition activities. Reality: Truth is Oregon wineries have the capacity to consciously develop and execute focused plans for business models that can become profitable; managing pricing; and recruiting and developing talent from other regions. This takes discipline and know-how that may need to be acquired beyond the founder’s expertise. Branding expertise: There are several examples of Oregon wineries that are successfully developing wine marketing and branding practices: A to Z and Domaine Serene are among these. And King Estates’ Acrobat brand was just named the #1 value brand of the year by Wine Enthusiast. However, most Oregon wineries operate at a very tactical level of marketing execution, lack brand strategies and experienced brand talent – essential investments, at a time when competition is the fiercest ever. Financial accounting expertise: Oregon wineries have very limited capacity to manage business performance proactively; lacking experienced wine industry bookkeepers, accounting managers and controllers. Leadership experience across key functions: CEO/President, VPs of National and DTC Sales and Finance. The Oregon wine industry is hampered by an inadequate bench strength of competent leaders who are capable of building next phase wine businesses. “It is imperative that we ensure the development of our next generation leaders, who can build upon what we have created over the past fifty years”, says Ellen Brittan, Director of Wine Education at Linfield College and Co-owner of Brittan Vineyards. V – Need to rationalize the horns of a dilemma: Oregon occupies an envied position among the most esteemed wine regions, because of industry founders’ vision and stamina. Enhancing Oregon’s reputation and the reach of its brands now requires new marketing and brand management competencies and executive capabilities demanded by a heavily competitive global business environment. In order to survive and be profitable long term, Oregon wineries need to compete at the higher price points. HOWEVER most Oregon Pinot Noir is now considered pricey by sommeliers and retailers, and market makers are concerned about saturation of the $40+ per bottle Pinot Noir market. How to breakthrough this conundrum? Competition is stronger than ever, making it harder for Oregon brands to compete for distributor and consumer share of wallet. There is a lot more competition at the >$40+ price point from CA and Burgundy high end producers, plus a new wave of larger, lower priced producers who are premiumizing through acquisition. Larger French and Californian wine companies are now buying land in Oregon: between 2012-2016, four of the top twenty largest wine companies in the U.S., as well as three of the most prestigious and successful wine producers from Burgundy in France, purchased or expanded holdings in Oregon. More competition among Oregon wineries in distribution as the number of Oregon wineries has grown beyond 600 and continues to expand at a fast clip. “These large wine companies have deeper marketing pockets and a vested interest in building Oregon’s reputation and share of market on a national and international scale. The opportunity for Oregon family owned wineries is to ride on these coat tails and differentiate their stories.“ – says Steve Thomson, EVP/COO Cristom Vineyards, Vice Chairman, Oregon Wine Board; Vice President, Oregon Winegrower’s Association. Consolidation is happening at a faster pace driven by ownership succession and the need for more profitability. This is squeezing producer and distributor profitability, alike. Producer tier: (an estimated) hundreds of U.S. wineries have sold in that last 5 years – mostly driven by ownership succession (many with no kids to take on the business). In the last 18 months alone, dozens of wineries have sold to large wine companies that are seeking to premiumize (Wave of Acquisitions sweep U.S. Wineries). In the last six months, Oregon has seen the sale of Willakenzie and Penner-Ash Winery to Kendall Jackson Winery. Distributor tier: Southern Glazers (17th largest US private company) was formed in the last 6 months of a merger between Southern Wines and Spirits and Glazers. Consolidation among the largest distributors leaves room for small distributors in the market and creates finally opportunities for smaller wine brands that are committed to long-term family ownership. Brand building to attract the right kind of wine consumer foot traffic: Oregon wineries have exciting brand equities to claim more effectively, through well executed marketing strategies and plans (and possibly, conjunctive labeling). By building agri-tourist traffic: Willamette Valley is an exciting tourist destination with diverse agriculture, emerging regional culinary and hip artisan wine, craft brewing and spirits movement. McMinnville has the potential to become an overnight wine tourism terminus, as the new buyers of the Evergreen Space Museum are building a 140-room hotel out on Highway 18 and at least one small (approximately 40 room), high-end hotel is going into downtown McMinnville. And there are other equally exciting wine regions throughout Oregon that have similar potential. Witness Capital Press’ recent article: Is Oregon approaching a Golden Age of wine, beer, spirits and cider? Regional footprint: Most Oregon wine businesses have the potential to become more profitable faster by building out regional, rather than national brands. In fact, most U. S. wineries under 200,000 cases should invest in direct distribution within 100 miles and more strategically regionally. Competition is fierce in national distribution, expensive to support properly and unprofitable for most brands. For many this means getting smaller to become more profitable. For others, this requires investment in new skills. Halo wines that can thoughtfully be allocated through limited distribution to build loyal consumer following. Developing the next generation of wine makers and vineyard managers who are passionate at pushing the envelope on quality and cost. With very high quality wine, many Oregon wineries are exceedingly relevant to their target audiences. It will however take leadership grit and fortitude to act with consistent focus and discipline; and possibly unabashedly leveraging best practices from elsewhere – for these wineries to build business models that are Built to Last. ©2016 Scion Advisors. All rights reserved. All licensed wineries in Sonoma County from Alcohol Beverage Control as of 2016. Wines and Vines claims 808. The variance is due to virtual wineries, which may not all be included with the ABC numbers. Source: Alcohol Beverage Control. Likely understated in early years due to winery sales/acquisitions. AVA = An American Viticultural Area is a designated U.S. wine grape-growing region distinguishable by geographic features. 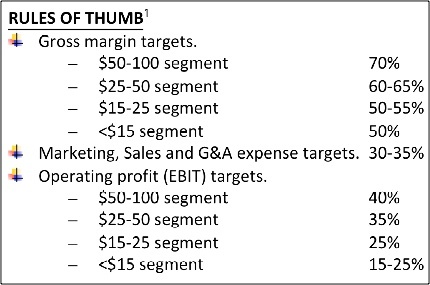 Product-level contribution margins: list price divided by Costs of Goods Sold attributed to that product. If you do the math, most winery business models need 50-65% average contribution margins, to sustain asset (re) investment requirements. Priced at under $18-25/bottle MSRP, many Oregon Pinot Gris and Blanc wines do not pencil in from a profit standpoint: 30-40% contribution margins are not sustainable; these wines frequently lack market-pricing strength in all channels. Many Oregon $20-35/bottle MSRP Pinot Noirs may not pencil in as well. Ownership transitions in the wine industry – Industry report. Deborah Steinthal, Scion Advisors and Rob McMillan, SVB. For instance, Cabernet Sauvignon comprises 40% of Napa Valley’s production. Chardonnay comprises 25% in Sonoma. 74% of the wine produced in the Willamette Valley is Pinot Noir. ABOUT THE AUTHOR. Deborah Steinthal is Founder and Managing Director of Scion Advisors, a leading boutique, strategy consulting firm serving the U.S. wine industry. With a proven approach enabling business owners to position for profitable growth or for exit, she has worked alongside over 150 winery owners and CEOs; and has moderated over 80 Winery CEO Roundtables involving more than 50 top wine industry CEOs for over a decade. Deborah’s expertise is in the area of business growth strategy, family business transformation, and board and leadership development. Based out of McMinnville, Oregon; born in Lima, Peru; raised in Belgium and Germany; Deborah has lived, worked and travelled globally. She is broadly published in the national business press, an invited speaker, panelist and widely quoted for research on key practices, such as such as How to Build a Pull Brand, Digital Commerce and Family Business Transition. For more information call Deborah Steinthal at 707.246.6830.